A happy combination of Mediterranean flavours. 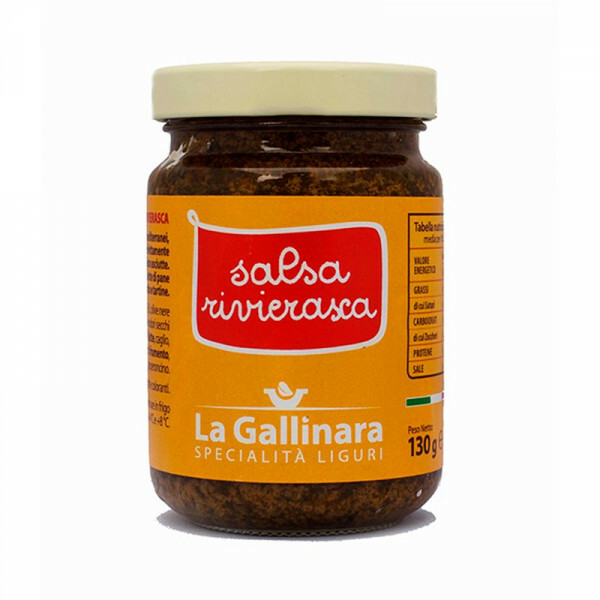 The Salsa Rivierasca goes perfectly with risotto and pasta dishes. Ideal also on toasted slices of bread or canapés. 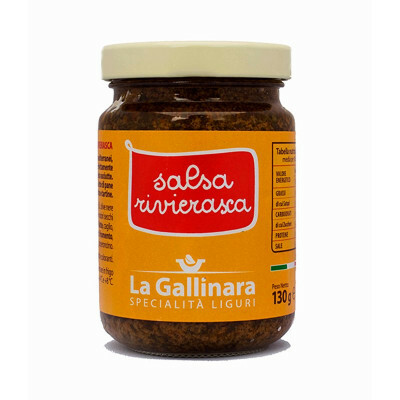 The Salsa Rivierasca of La Gallinara is a spicy and tasty red cream which includes all Riviera Ligure flavours. The natural and genuine ingredients are: extra virgin olive oil, pitted black olives, sun dried tomatoes, Pecorino Romano, anchovies, parsley, garlic, chilly. Use: It is the ideal cream to season a steaming pasta dish in an instant, or as the base for many recipes belonging to the Mediterranean tradition. E.V. olive oil , stoned black olives (11%), dried tomatoes (11%) roman pecorino (milk, rennet, salt) , anchovies, wheat flour , parsley, garlic, chilli pepper. No preservatives and colorants.